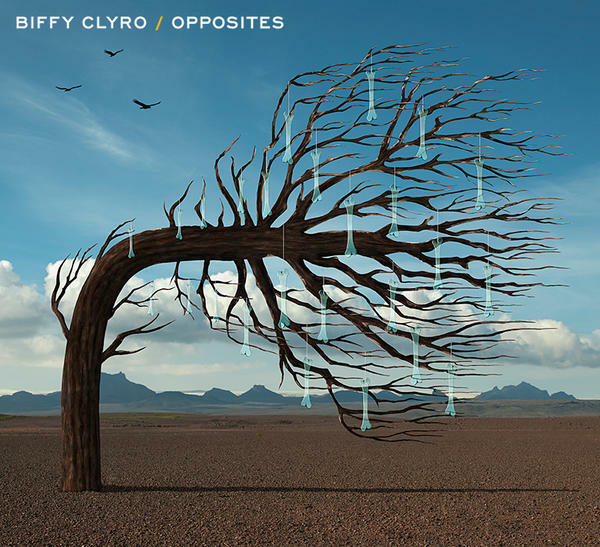 Scottish band Biffy Clyro have been making waves in the social media world again this week, after inviting fans to reveal the artwork to their eagerly anticipated new album Opposites through Twitter. Every time a fan tweeted #BiffyOpposites, a little more of the artwork was unveiled until the entire image, complete with subtle animated touches, was displayed. After just 18 hours, the artwork was revealed; putting the final touches on a wholly successful social media campaign. The campaign, and the subsequent buzz that was created surrounding it, got us thinking about other bands and artists that have embraced social media. Obviously, there are particular artists that roll off the tongue when you think of social media; Lady Gaga and Justin Bieber are just two prominent examples. However, we decided to cherry-pick other artists and bands who have embraced social media and utilised it in the most innovative and creative ways. If you grew up in the UK in the 80s, you will no doubt be familiar with brothers Pat and Greg Kane, otherwise known as pop group Hue And Cry, however you might not be so familiar with their social media activity. In an article in Wales Online, Pat Kane explained: "We have a very active relationship with the fans through social media, through our own website Hue & Cry Music Club and all the other channels." As well as embracing social media platforms such as Twitter and Facebook, Hue and Cry also have their own Ning social network, Hue And Cry Music Club, which they regularly use to interact with their fans. Impressive. Radiohead's online presence is long established, but it is impossible for us to ignore. Fast forward to 2011, where they fully utilised social media. Ahead of the release of 'The Kings of Limbs' album, they posted a tweet on their official Twitter account: “Thank you for waiting…”, which was followed by a link to www.thekingoflimbs.com, a website designed for the release of their new album. Cue social media frenzy. Simple, but effective. British singer-songwriter Ed Sheeran is perhaps one of the best examples of how powerful social media can be in music. Sheeran's producer, Jake Gosling discovered him on MySpace four years ago, and he has since built a loyal following of 'Sheeranator' fans through YouTube. Having worked with grime and underground artists, Gosling had come to know Jamal Edwards, founder of online music channel SBTV, and rather than the traditional music media, it SBTV that propelled his song You Need Me to go viral and gain millions of hits. Conor Maynard, like a lot of aspiring young artists, used social media and sites like YouTube to share his videos and after the R&B artist Ne-Yo saw his cover of his song 'Beautiful Monster' on YouTube, the two started Skyping, which led to a recording contract with EMI. Once again, Maynard is tapping into his social media-hungry fan base to help him decide where in the United States he should perform this winter. To determine the five cities in which the 19-year-old will give free concerts, his label has created MayniacMap, which lets his fans earn points for their respective cities. Users rack up points by connecting their Facebook, Twitter, Instagram, Foursquare and Tumblr accounts, and performing activities — such as following, liking, commenting and sharing. And for anyone who is remotely interested, New York, San Francisco, Houston, Detroit and Tampa, Florida have accumulated the most points so far. British singer Ellie Goulding has fully embraced social media. Not only did she recently conduct the world’s 'first digital album signing' in a Google+ Hangout, she also unleashed a lyric video for Halcyon‘s lead single, 'Anything Could Happen', which featured fan-submitted Instagram photos. Goulding had just joined the photo-sharing site in June before she asked fans to show her some Instagram love, and you can view the resulting video below. Have you found this post interesting? If so, please share it with your online community using either the Twitter, Facebook and Share buttons below. If you can think of any other examples of musicians embracing social media, let us know. Thank You.